House committee zeroes in on the NCUA chairman with questions about insurance oversight. 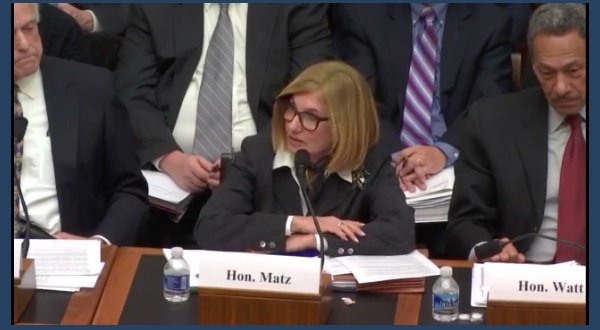 NCUA Chairman Debbie Matz explains FSOC's position on regulating the insurance industry to the House Financial Services Committee. Shown to her left is FDIC Chairman Martin Gruenberg and to her right, FHFA Director Mel Watt. During a hearing on oversight of the Financial Stability Oversight Council, Republicans on the House Financial Services Committee called for transparency and singled out regulators on non-bank Systemically Important Financial Institution designations of insurance companies.